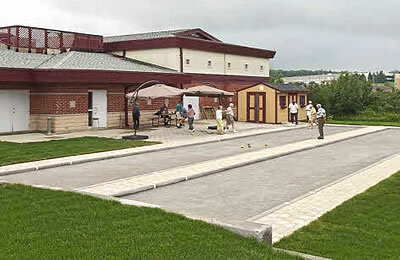 Join the game on our quality Bocce courts! Organized play is scheduled every Tuesday and Thursday at 10:00 am, weather permitting. Learn to play Wednesdays at 1:30 pm. First Instruction, then fun games. Bocce courts are available to ASA members for use Monday to Friday, 9:00 am to 4:00 pm, on a ‘First come, First served’ basis. The normal daily ‘Activity Fee’ applies. Please sign in at the Reception Desk prior to play.